Womens Action Trousers X Large Navy is rated 4.4 out of 5 by 14. Rated 4 out of 5 by Chrisssie from Very comfortable. 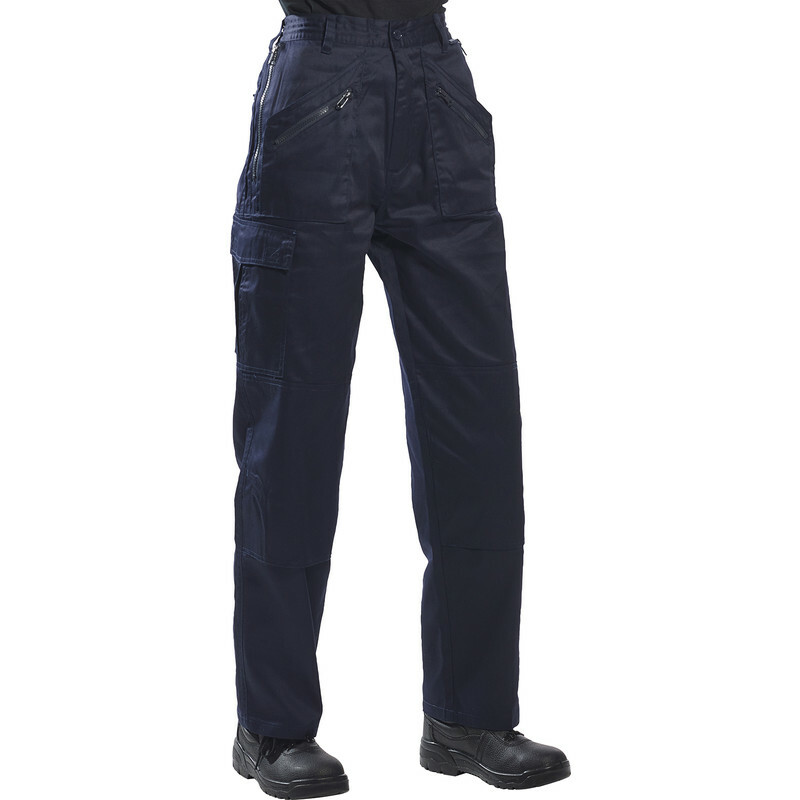 Great trousers, lots of pockets and kneepad pockets as well. You need to supply these in shorter leg lengths as I now have to take these up as I could only get a 31" length and really need a 29"
Rated 5 out of 5 by Minerva from Smart Trousers are good fit with loads of pockets at a great price. Rated 4 out of 5 by Bee49 from Great fit I have been looking for a pair of these pants that you can actually put knee pads in and are made for womens. These are fantastic would really recommend. The only down side is (and this hasn't put me off buying another pair) is they wore away in between legs fairly quickly. I wear them all day 4 days a week and had 1st pair approx 3 months and they started wearing away quickly. Rated 5 out of 5 by VLS123 from Exactly what I wanted! I am a farmer and am sick of wearing cloths designed for men! These trousers fit amazingly and are true to size. Rated 4 out of 5 by 808JTW from Great work trousers at a good price. Really good trousers - excellent for gardening and general DIY. The size comes up small so glad I bought the medium. Online reviews helped with this decision so thanks! Waistband is a bit uncomfortable but will hopefully improve after a couple of washes.